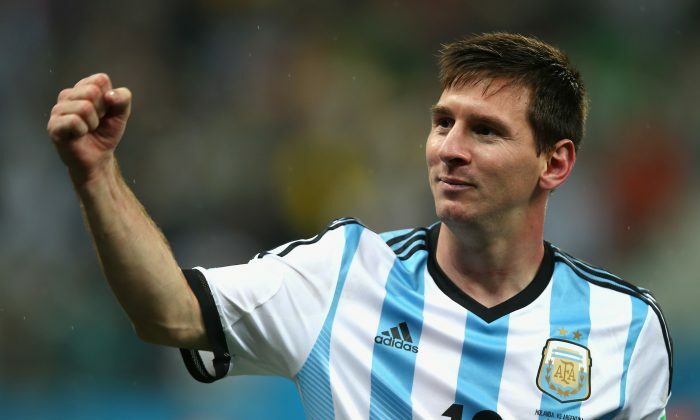 Germany and Argentina are set to clash in the World Cup 2014 final on Sunday, July 13. The game will be played in Estádio Maracanã, Rio de Janeiro, at 3:00 p.m. EDT. After their 7-1 demolition of hosts Brazil in the semi final, Germany will certainly be brimming with confidence now. Rather than simply being stereotypically “ruthless” and “efficient” in the competition so far, the Germans have really found success with balance. Die Mannschaft play a smooth, simple passing game tempered by pragmatism rather than passing for passing sake like the Spanish tiki-taka, death-by-football game. When they need to, the German players are also able to launch lightning-fast counter attacks, instigated once their defensive high pressing game wins them possession. One decision coach Joachim Loew made in recent games that made Germany more dangerous going forward is the shifting of captain Philipp Lahm from a holding midfield role to his usual right back role, and playing Toni Kroos, Bastian Schweinsteiger, and Sami Khedira in a three-man midfield. Kross and Schweisteiger provide the passing that make the German side work, while Khedira has impressed with his box-to-box running and combinations. Germany should stick with this tried-and-tested formula from the quarter final and semi final in the championship game. Argentina, on the other hand, has been rather enigmatic in the competition. There is very little potency in the Argentine attack, save Lionel Messi. The Barcelona super star had to drag his team forward/bail them out for most of the competition with his often solitary goals or assists. With Angel di Maria possibly out of the final with an injury, Ezequiel Lavezzi turning up the pace but not making much head way in terms of scoring, and with Gonzalo Higuain still not making the most of his chances, Argentina will have to hope Messi shows up in the final if they are to win. The one bright spark of this Argentinian team is their defense. The back line have kept four clean sheets so far, a rather impressive statistic for a team that is not known for defending. Javier Mascherano has been a rock in his defensive midfield row, and almost certainly ensured Argentina’s progression to the final with his last ditch tackle on Arjen Robben in the dying minutes of the semi final match. Coach Alejandro Sabella has endured some criticism about his tactics, but if Argentina remains defensively solid, and if Messi provides that one spark of magic, La Albiceleste will be headed for a very famous third World Cup victory at the historic Maracana stadium. Prediction: Argentina to win 1-0, courtesy of a Lionel Messi strike. Germany are 11/8 to lift the trophey, according to most bookmakers, and Argentina are 5/2. Odds for a draw is 23/10, according to OddsChecker. Here are the possible lineups. SAO PAULO (AP) — The World Cup can only hope that Lionel Messi is leaving his best for last.